Our Boutique Hotel is located in a Neoclassical building dated 1899 and established as Hotel in 2000. 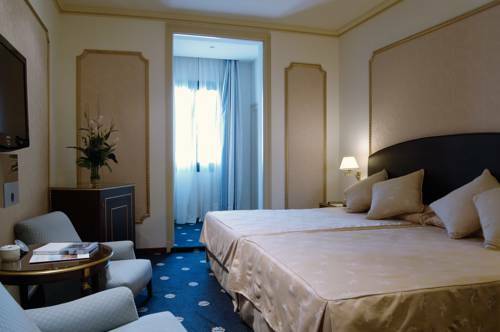 Hotel Roger de Lluria features 48 spacious and comfortable rooms. Our property has thirty-six classic rooms-ten deluxe rooms and two junior suites- all of them fitted with latest technology.Most of our rooms have terrace or balcony. Parking is located just around the corner with direct access from main door. Mirall Restaurant will be delighted to offer you its Catalan and International haute cuisine specialties-Snack Bar-Room Service Buffet Breakfast Business Center and Meeting Rooms up to 450 capacity. Complimentary WIFI in Guestrooms and Outlets . Hotel Roger De Lluria Barcelona is located in the heart of downtown surronded by the citys prestigious shopping and cultural districts.